TCI high-quality steel shifter cables are designed with a nylon liner, are pre-lubricated for smooth operation, and have a heat-resistant, PTFE-coated cover for dependable, long-term durability. These race-duty shifter cables come complete with a threaded bulkhead fitting on each end. 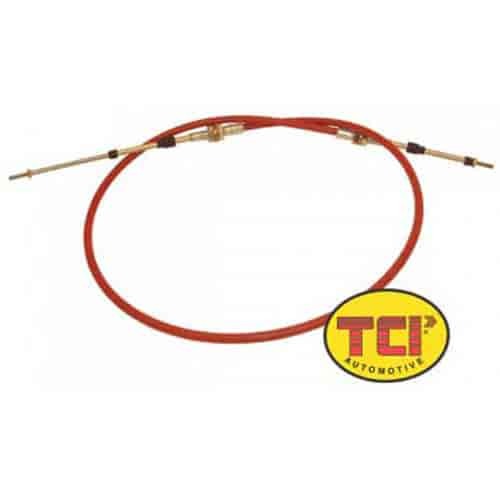 TCI shifter cables are also suitable for use as parachute and throttle cables as well.